Senorita Cartagena, Laura Gonzalez, defeated 22 other beauties to be crowned Senorita Colombia 2017 last night. She is 22 years old, stands 1.79m and will represent Colombia at the 2017 Miss Universe Pageant. Vanessa Pulgarin (25), who represented Antioquia, was named the Virreina (or vice queen). She stands 1.78m tall and will represent her country at Miss International 2017 in Japan. 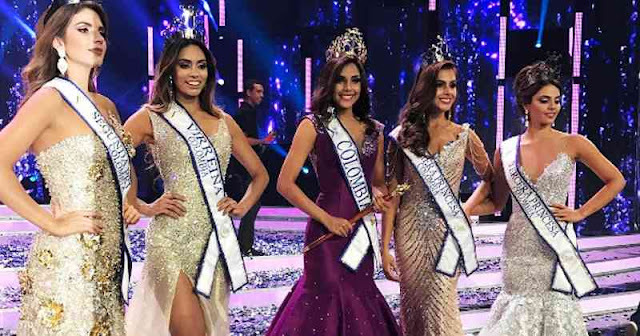 The first princess was Senorita Santander, Yennifer Hernandez, and the second princess was Senorita Bogota, Vanessa Dominquez. Senorita Magdalena, Maria Fernanda Betancur completed the top 5. 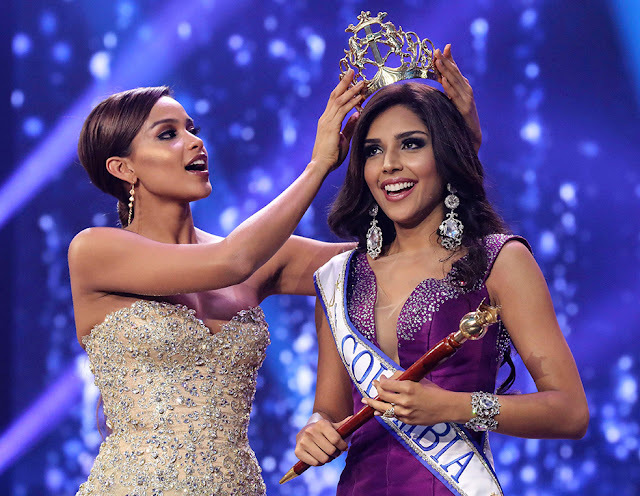 Tough act to follow the last three Miss Colombias, so I'm gonna say she's a bit of a downgrade. I'm not impressed with her, there were better girls, but good luck.